We’ve improved the SMS Messaging features to include Templating, i.e. you can now fetch member related data like First Names and Last Names to include in SMS messages. 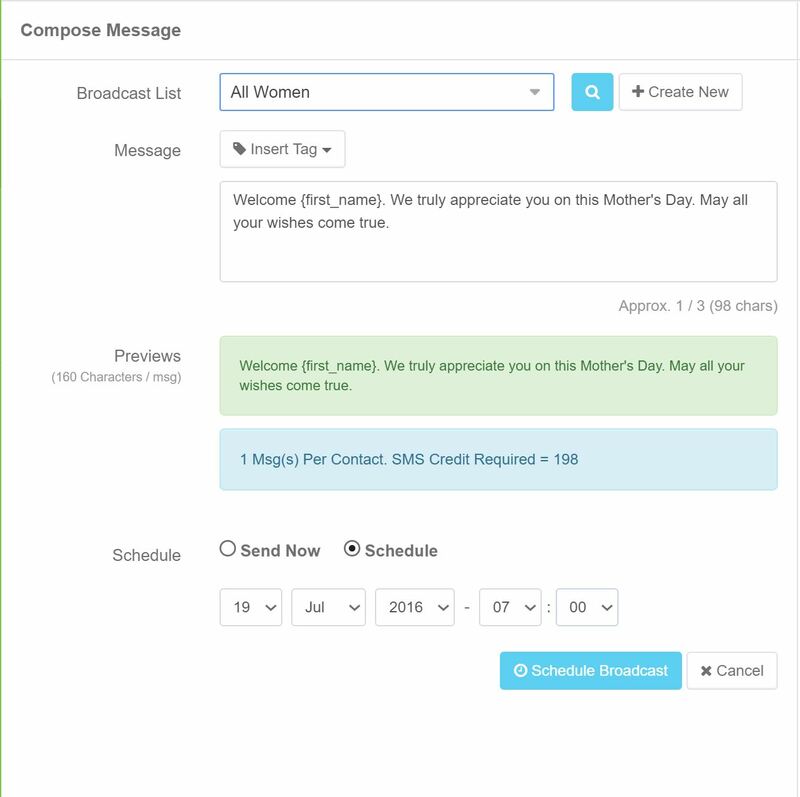 This provides an extra level of personalization to SMS Broadcast Messages. It should be noted however, that due to the dynamic nature of personalized messages, it is possible to easily exceed the traditional 160 character limit per message. This might incur higher credit usage per broadcast. 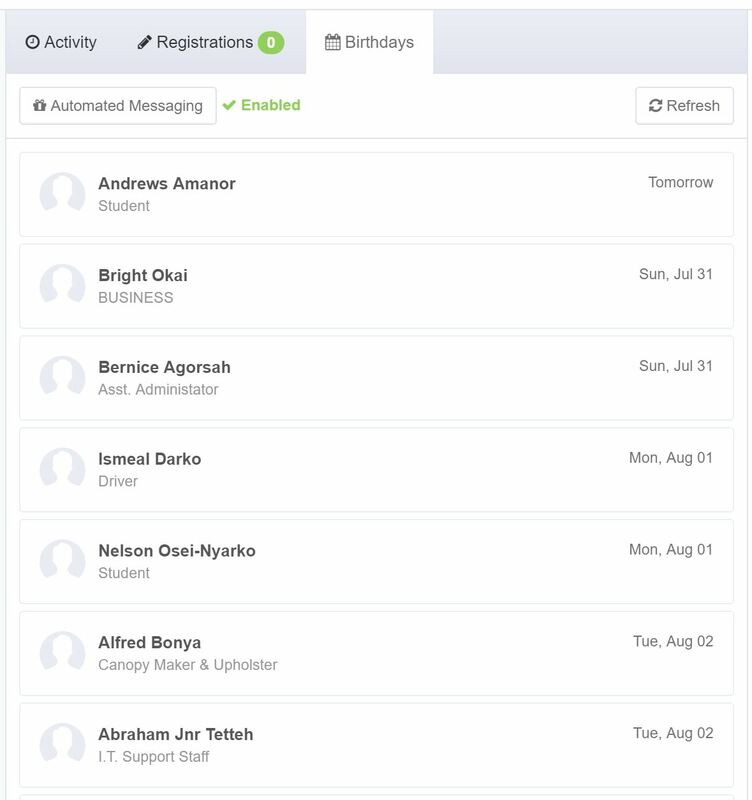 You can now schedule automated SMS Messages to be sent your members on the occasion of their birthdays. This again adds an extra level of personalization to your communication and interaction with members. This feature is disabled by default but can easily be activated by visiting your Organisation Dashboard –> Birthday Section, and clicking on the “Automated Messaging” button. 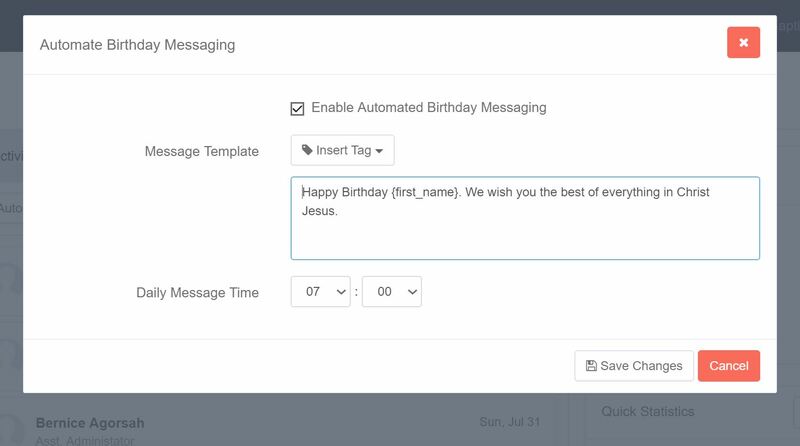 Birthday messages can also be personalized using the new SMS Templating functionality. Lastly, birthday messages can be scheduled for delivery at a specific time each day. We’ve also made it possible for you to send congratulatory messages to members on the occasion of any anniversary you are tracking, be it Wedding, Baptism, First Visit, First Donation, etc. You simply need to visit the organization account settings and check out the member anniversaries section. The theme of personalization with SMS messaging remains strong in this new feature as well. We hope you try out this feature and give us some feedback. 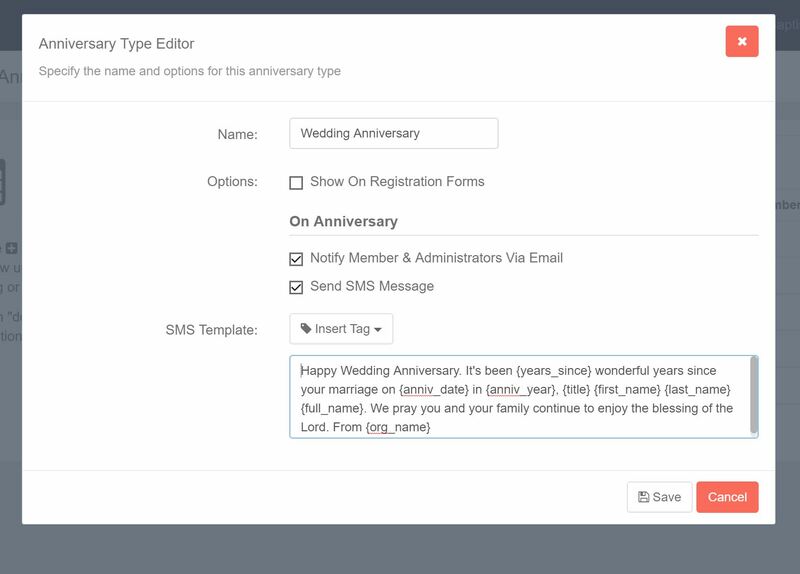 Lastly, it is now possible to include “Anniversaries” on registration forms to collect more membership data at registration time. We fixed several other bugs and improved general styling and presentation on mobile. As always, don’t hesitate to drop a comment if you have questions or are simply giving us feedback on how we are doing.